The advantages of a good night’s sleep are limitless, still a considerable number of people are unable to get sufficient sleep regularly. The best sleep apps have been identified and are available for your forty winks and to send you off happily into dreamland. As per the Centres for Disease Control and Prevention (CDC), 1 in every 3 adults are unable to get their much-advised hours of sleep each night. To encourage ideal health and well-being, the American Academy of Sleep Medicine and Sleep Research Society advise that adults should at least get 7 hours of sleep daily. Not getting the required hours of sleep can eventually result in weight gain and obesity, diabetes, high blood pressure, heart disease, depression, stroke and a greater risk of death. In addition, sleeping for less than 7 hours is also linked with reduced immune system, a decline in cognitive performance and a higher risk of accidents. Encouraging regular sleeping patterns and sleep habits that are healthy is known as sleep hygiene. Sleep hygiene techniques include sleeping and waking up at the same time every day, avoiding large wholesome meals, alcohol and caffeine before sleeping and staying away from nicotine altogether. For this Sleep Apps helps you to achieve sleep hygiene. Introducing sleep apps that will help in achieving that perfect sleep hygiene routine thus enabling you to get those 7 hours of necessary sleep. 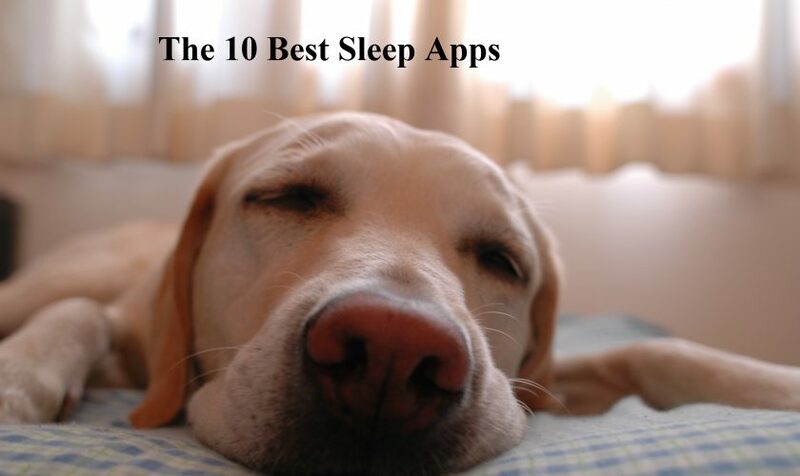 Following are the top 10 sleep apps choices by are Medical News Today. Relax Melodies helps you to get a full night of sleep and drives away insomnia. 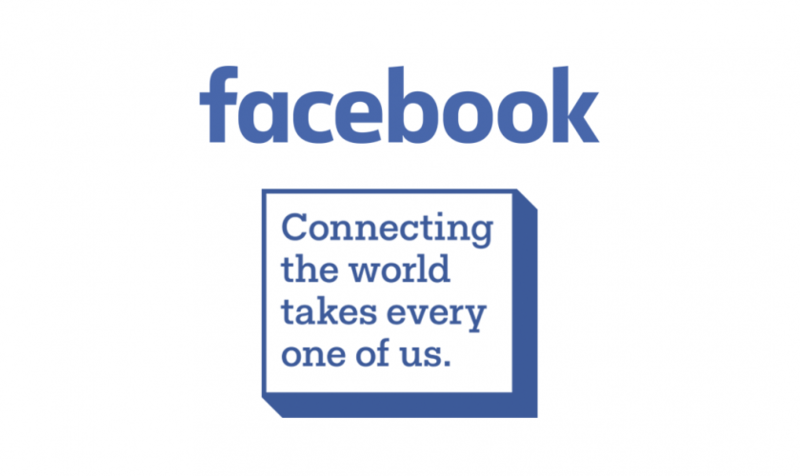 It is designed to help users get their much needed sleep, along with their community comprising of 35 million other users. 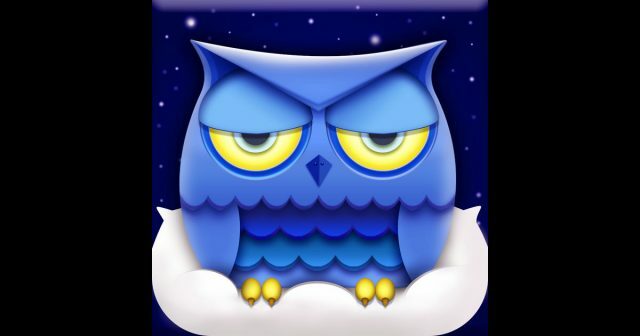 If someone is having trouble getting a restful and a good night’s sleep, then this app is just for them. Relaxing sounds can be selected, by adding nature sounds, along with a combination of melody and thus a sleep-inducing tune or sound is complete. You can also choose to overlay meditations too on top of this mix to enable you to sleep soundly. In addition to creating your own sound mix to help you sleep, these melodies can be shared within the Relax Melodies community and you can also access other melodies shared by the rest of the community to discover new mixes. Clubbing your favourite sounds from your own music library into the sound layers increases the relaxed and soothing experience even more. Sleep Cycle keeps a track and evaluates your sleep patterns. You can choose your wake up time and the app will gently wake you from your sleep when it is at the lightest phase, to ensure you have had enough sleep and rest. Using sound and vibration analysis, the built-in microphone in your phone picks up your movements. The app then scrutinizes the data to define if you are sleeping lightly, or in a deep sleep or in REM or Random Eye Movement sleep. Then it finds an ideal time to wake you up within a 30-minute time frame that you can set. The Statistics dashboard shows graphs and analysis pertaining to your sleep phases, and the Trends dashboard specifies the quality of your sleep percentage and sleep and wake up timings. It can also detect, map and measure snoring. With Sleep Cycle, monitoring sleep is easy, stress-free and helps you achieve a good, sound sleep. 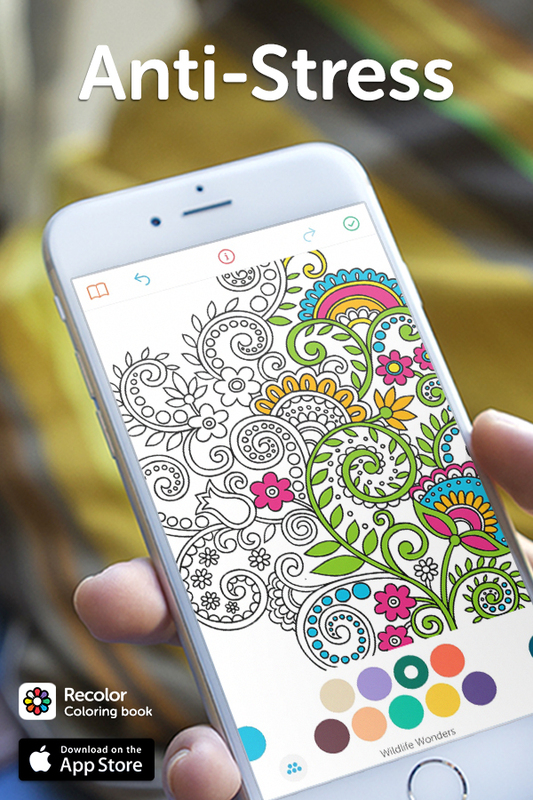 Recolor reinvents the concept of an adult coloring book and brings it to you in the form of an app. More than 1,000 images are available on Recolor to help you relax, calm your mind and send you in a calm meditative state. There are new pictures that appear daily. The library of Recolor is alphabetically organised theme-wise with categories varying from animals, food, and patterns to pop art, sport and aquatic-life. Once you have selected your image, the app offers a color palette that is bold an uplifting with numerous shades and hues to complete you art-work. The whole idea behind this is to channel your anxiety and stress into making a creative achievement to help relieve the stress in your life and hopefully, to help to fall into a deep slumber eventually. Sleep Time analyses your sleep and provides a complete insight into your sleep patterns by using an accurate high-tech algorithm. The app studies your movements throughout the night and develops a customized data of your sleep pattern and cycle in simple graphs and charts. Sleep Time’s smart alarm finds out when to wake you during the time period where you are in the lightest phase of your sleep, which is similar to the Sleep Cycle app. According to Sleep Time, waking up during a deep sleep period can leave you feeling exhausted and tired as it takes your body over an hour to be fully awake. Soundscapes, such as soothing waves and rain forest storms, that help in simulate the feel of natural environment, assist in increasing your ability to drift into sleep quickly. The refined Insights dashboard gives a comprehensive report of your entire sleep regime so that you can find patterns and trends in the factors that hamper your sleep. Pillow is superior sleep tracking and analysis alarm clock that studies your sleep. Pillow has a simple, brilliant design with an instinctive gesture-based interface. Its functions are based on the recent findings in sleep research and it has a progressive algorithm that uses motion and sound pattern detection to study your sleep session as a whole. 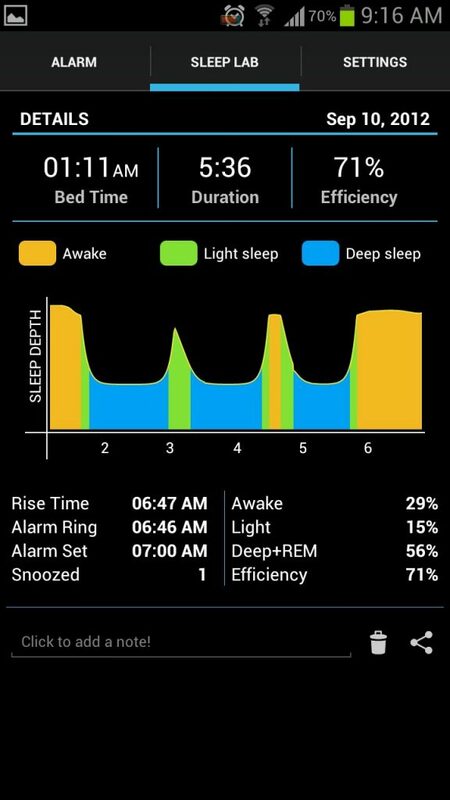 A complete sleep stage diagram records your sleep with details such as the times you are awake and in the REM, deep and light sleep phases along with sleep session statistics. In order to widen your knowledge of sleep further, Pillow is collaborated with Apple’s Health app. Pillow visualises how health and fitness metrics such as weight, blood pressure, dietary calories, heart rate and alcohol and caffeine consumption can affect the quality of your sleep. 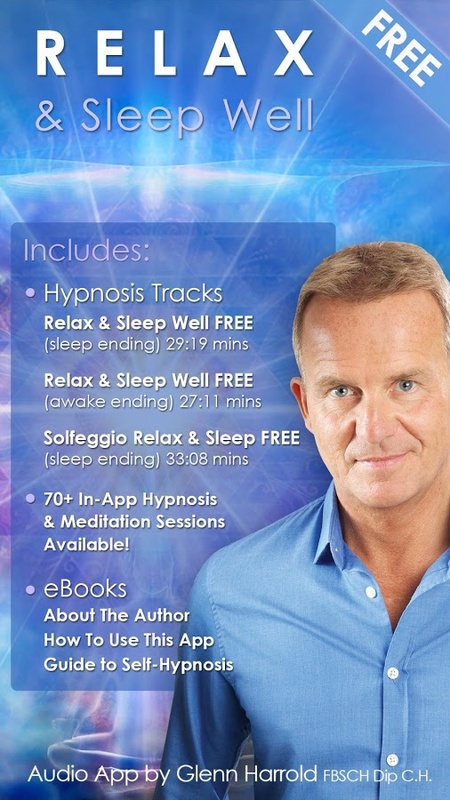 Relax & Sleep Well is an app created by Glenn Harrold, a clinical hypnotherapist and bestselling self-help author. This app is ideal if you are in need of distressing and want to overcome anxiety while developing sleeping habits that are healthy. This app contains four meditation recordings and hypnotherapy that relieves stress. In addition, there are 80 of Harrold’s recordings, that are highly acclaimed, available for purchase in-app, which has a range of topics pertaining to sleep such as insomnia, weight loss, anxiety, mindfulness, self-esteem and confidence to list a few. Each hypnosis track consists of soft background sound effects that have been particularly selected for their key and frequency to find your way into a deep state of relaxation. Harrold’s calming voice along with the subtle background sounds help soothe you into a relaxed and dreamy state. Insomnia, stress, weight loss, de-motivation can be beaten and you can relax all with the help of a digital pill. Digipill gets additional points for innovation as it uses a formulated mix of language and sound to activate your mind, change the way you think and encourage a state of well-being. With this app, you can select an audio pill based on your current requirements, relax with some good-quality headphones and close your eyes. The first pill in this app is free of cost. Extra pills require to be purchased in the Pharmacy or by subscribing to repeat prescriptions you can gain unlimited access to all pills. Each pill comes with a treatment time of about 30 minutes and has names such as ”Sleep Deeply” which is prescribed for a night of good rest, “Peace of mind” prescribed for easing out anxiety and “Power Nap” prescribed for a refreshing bout of snooze. Digipill has a perfect experience to assist you if you need to just calm down, require motivation or calm yourself and relax before bedtime. 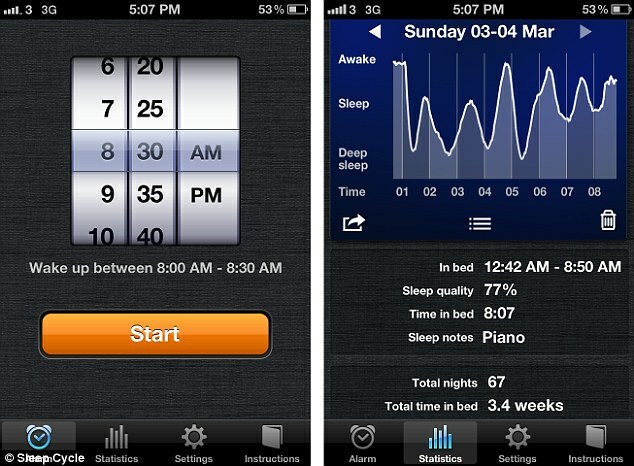 This app is helpful in making you feel more rested, bright and active upon waking up with its in-built smart alarm. Good Morning Alarm Clock awakens you during your natural waking phase to make you feel energized and alert throughout the day. It is simple and practical to use and makes available vital statistics from the previous night on a clear-cut sleep graph. 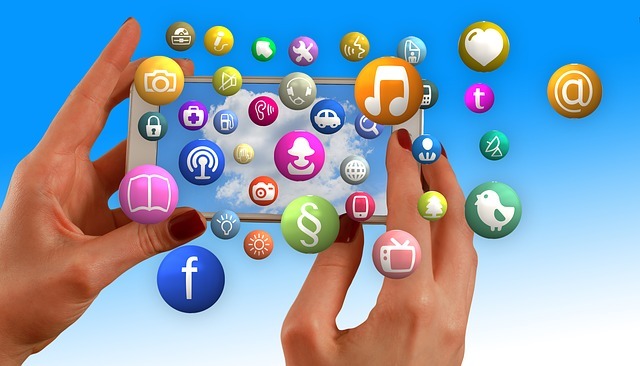 The app collects your data on a weekly basis to help you to track your lack of sleep and your overall sleep quality. Relaxing sounds helps you drift off to sleep or you can fall asleep or wake up to a customised playlist containing your favourite songs. On the basis of the sleep goals you make for yourself, Good Morning Alarm Clock will bring to your notice if you are getting inadequate sleep as compared to what you require. 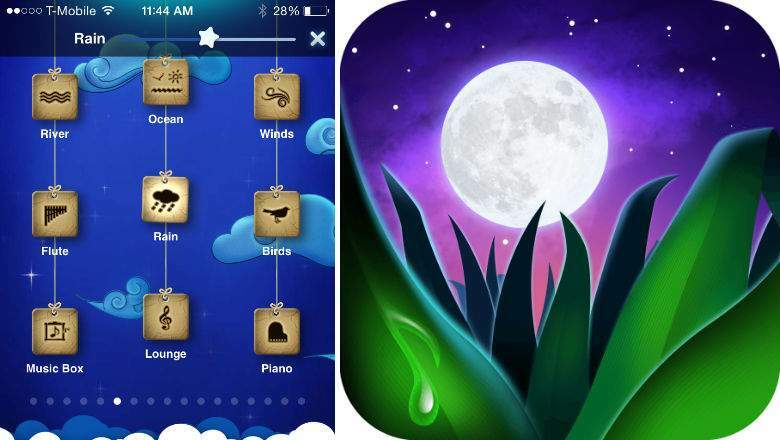 Pzizz is app which is designed based on the sleep and power nap concept. It enables to send you off into a deep sleep with just a push of a button. This app assists you in falling asleep quickly, stay asleep and wake up feeling relaxed and refreshed. 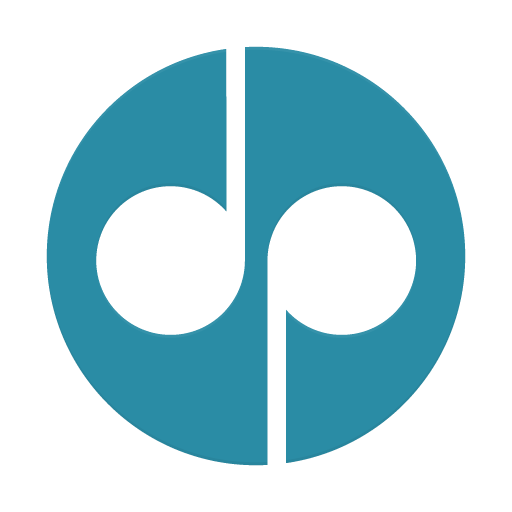 Pzizz functions on the application of psychoacoustic science. It s a branch of psychology that explores and discovers the perception of sound and the effects it has physiologically. 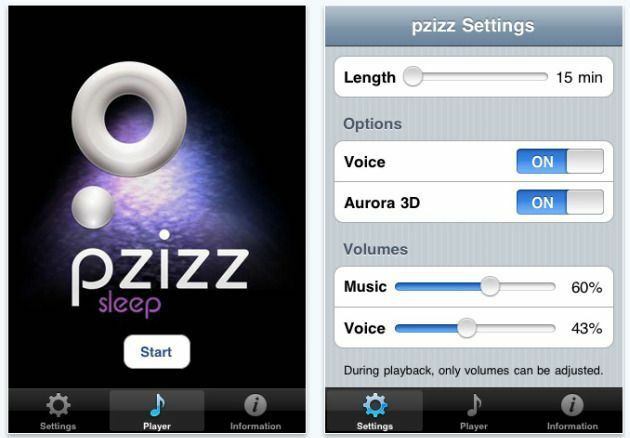 Pzizz has examined clinical studies and theories and through this, it has developed sound sequences and active and vibrant dreamscapes that are custom-made and perfect for each portion of the sleep cycle. The mix of sound effects, music and voiceover help induce sleep and the mix quietens and calms your mind. Thus you are able to sleep for the best amount of time suited as per your requirement, to make you feel revived and rejuvenated next day morning. Pzizz also has a 7-day challenge and invites its users to take up that challenge before they opt for Premium, to make them go through the ultimate sleep experience. Noisli helps you relax through the use of ambient colours and sounds that help activate inner peace. Noisli helps in cutting out distracting sounds and noises from the background to help attain concentration and better productivity while working or to create a calm and relaxed audio environment for activities like yoga, meditation and most importantly, sleep. 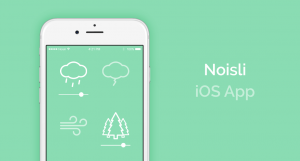 Noisli helps you to mix a tailored combination of sounds, similar to Relax Melodies. You can combine echoes of rain, leaves, thunderstorms, wind and water streams with white noise to create your own ideal, stress-free atmosphere. You can save your favourite mixes and share them with anyone. The in-built timer can be used as tracking time while taking your forty winks or while falling asleep. Apart from using this app to tackle insomnia, you can also use Noisli to reduce your stress levels, relax while reading and lessen headaches and migraines. Bioengineers are able to specifically transform the genetic program of cells. In this way they are endowed with new characteristics or abilities that are not so innate but productive. The reprogramming of cells with electric circuits- currently the most dynamic field in synthetic biology – is based mainly on the technological breakthroughs in modern biotechnology. 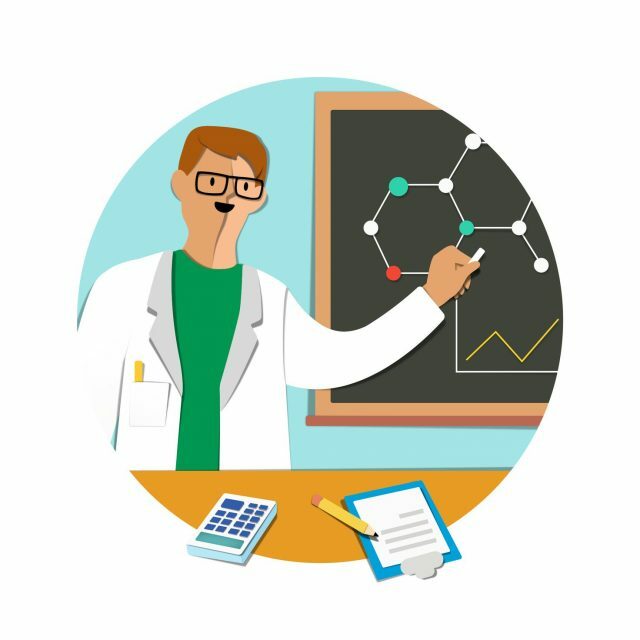 Genetic methods have been used here for decades to transform microorganisms or cells into living factories for certain natural products, chemicals or pharmaceutical active ingredients. Biotechnologists are here like mechanical engineers, in order to conceive, build and then also continuously check in the cells to tailor-made cells with electric circuits – “production roads”. While a new biosynthesis pathway is being integrated into a cell in metabolic engineering, some researchers in synthetic biology are pursuing the vision of transforming cells into an intelligent device, which can also be controlled externally through electric circuits. For this purpose, the bioengineers want to develop a catalog with standardized genetic components or switch modules and to assemble them into complex control circuits and electric circuits, which can be specifically controlled. Their example is electrical engineering, where individual electronic components such as transistors, resistors or capacitors are combined into integrated electric circuits. Such circuits can be standardized and take over so many functions. 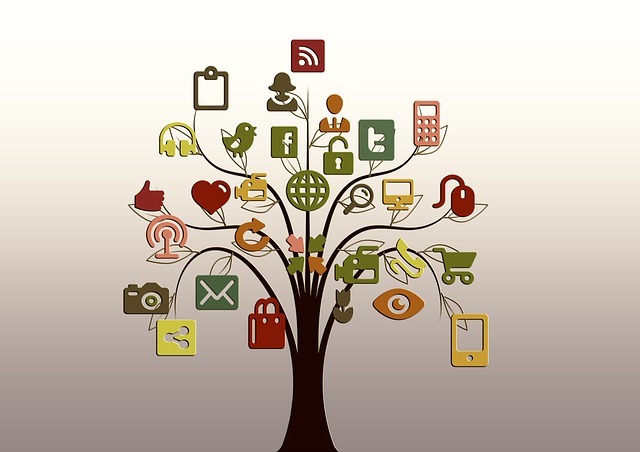 Intelligent connection of the electric circuits results in complex circuits or even in the construction of living computers. In fact, bioengineers have a variety of molecular modules at their disposal: genome researchers have already discovered numerous molecular gene switches. With such gene switches – these can be proteins, DNA or RNA molecules – the activity of genes can be precisely controlled. They can therefore be switched on and off in a controlled manner. Also components of cell communication are always better understood. Optogenetic switches – ie, gene switches that are controlled by light – also offer new scope for controlling the cells in their external behavior. 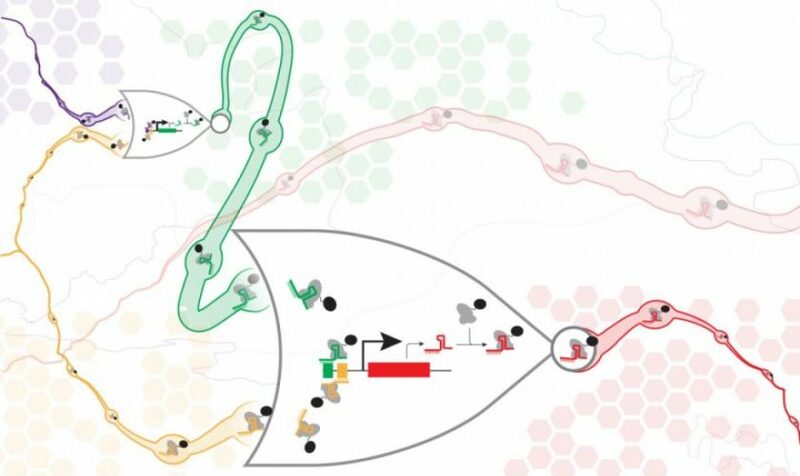 If such switch modules are linked with other molecular components, then complex control circuits – so-called genetic circuits – can be assembled. The research team of University of Washington are among the pioneers of this approach borrowed from electrical engineering and computer technology. Some notable progress has already been made. Milestones include a genetic toggle switch, or complex genetic electric circuits that enable cells to process or store binary information like a computer. A catalog with standardized genetic components for bioengineers – the BioBricks – has been developed by UW Researchers. There are also first application-oriented examples of genetic electric circuits and reprogrammed cells in medicine. Researchers of UW, equip cells with a genetic program that reacts to certain stimuli from the outside and then begins with the production of a substance. This will make the designer cells live measuring station and drugstore in one (to application medicine). Bionic material has best adhered in a moist and oily environment. With by means of its fine hairs on the feet – called Spatulae – a gecko keeps itself on electrostatic forces even on very smooth surfaces. In a wet environment, however, this adhesion effect fails. 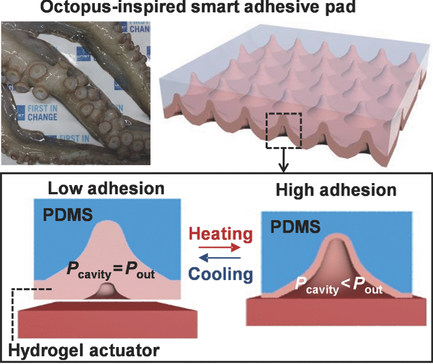 As a model for a new, bionic adhesive material similar to suction cups, which also functions in moisture, Korean researchers have now refined the filigree structure of the suction cups of octopuses. As reported in the “Nature” journal, their suction napkins also adhere well to moist skin and are suitable for novel wound dressings.”Mikrometer small structures in our artificial adhesive material increased the suction effect,” Sangyul Baik and his colleagues from Sungkyunkwan University in Suwon explain the basic principle of adhesion. First, the researchers examined the suction cups of the Common Octopus (Octupus vulgaris) and recognized specific bulges in the small cup-shaped troughs. Thanks to this microstructured suction cups, octopuses can cling to slippery rocks under water, or even their beasts of prey. These microstructured suction cups were copied by the material researchers with a flexible plastic film. They first pressed small troughs with diameters between 15 and 500 micrometers into a thin layer of silicone rubber. They filled the liquid precursor of a polyurethane-acrylate polymer and cured it under ultraviolet light in the micropipes – about 5,000 per square meter. In this case small, dome-shaped bulges were formed in the troughs. If the researchers pressed this bionic film onto a damp surface, it reliably sucked in with adhesive forces of over 40 kilopascals. If silicone oil was used instead of water, the adhesive forces even rose to 180 kilopascals. Baik and colleagues were responsible for this effect. On the one hand, air was pressed out of the troughs by lightly pressing the suction napkin, and a small vacuum was built up. This adhesion was strengthened by capillary forces, which could be formed thanks to the filigree bulges. The greater adhesion in an oily environment, the researchers explained with the higher viscosity of the liquid compared to water. Even several thousand times detached, the suction napkins retained their adhesion effect. The researchers found the best results with suction cups with a diameter of 50 micrometers. This film adhered reliably even on damp skin. As a first application, Baik proposes new types of patches to cover inflammatory and wetting wounds. But the thin silicon wafers for the production of computer chips could also be lifted out of the reaction baths with this suction napkin. “This approach could be used to move robots, biomedicine or toys,” says Jonathan Wilker from Purdue University in West Lafayette, assessing the Korean results in an accompanying commentary.